Beach Bodies Are Built In The Winter! Reach Your Goals With a Community of Support! We've created a 21 day program of early morning fitness classes that use body weight, medicine balls and fitness bands to give you a fun, up-beat work out! No bulky weights, no intimidating machines! You can workout at 6:30 or 7:30 am, what ever is best for you. The 21 Day Reset is $129 dollars / month but you can join for just $60/month when you register early! Take a look at the EARLY REGISTRATION OPTIONS below and SAVE! 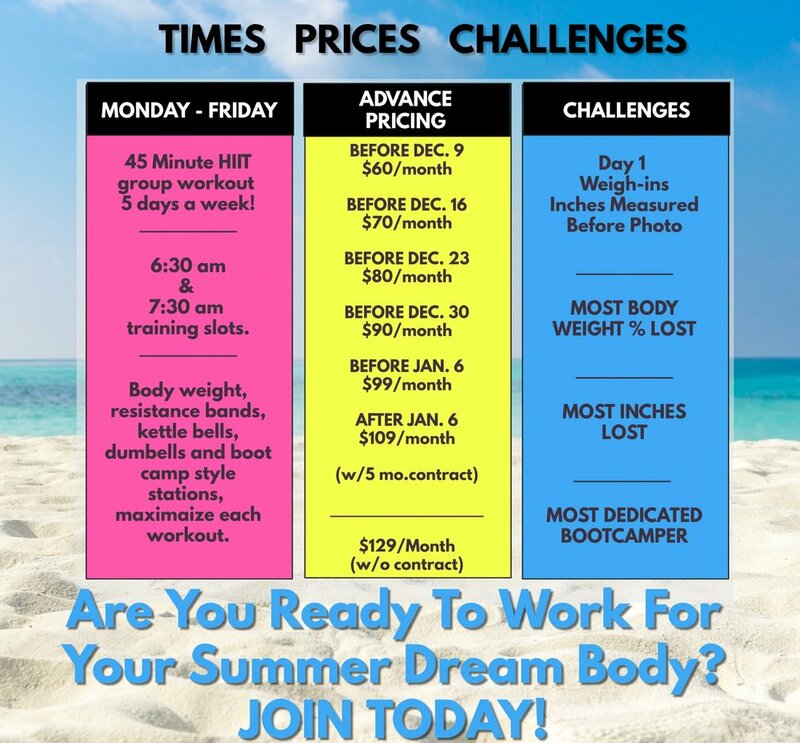 Register for your beach body now!